A solo piano composition inspired by the merging of spirit with cataclysm. Joel Futterman/Ike Levin performed at the Medicine Hat Jazz Festival on June 22, 2010. Note: We respect your privacy and will not share your email address with a 3rd party. Dedicated to the creative, inspirational legacy of master drummer and our close friend Alvin Fielder. His spirit lives on through his music. We experience a cross-section, the fruits of an evening’s improvised collaboration before an enthusiastic Oregon audience, but the music’s implications are as vast as its timbral and dynamic ranges. The waves of joyful spontaneity crest over constant recurrence, eclipsing and erasing conventionalities of moment-to-moment narrative in favor of points and fields along a circuitously spiraling path. . . Those in search of microcosmic precision will find it in abundance, each phrase inherently its own pulse, and those wishing narrative on a larger canvas need only let the music unfold and evolve along its miraculous paths of adventure and return. 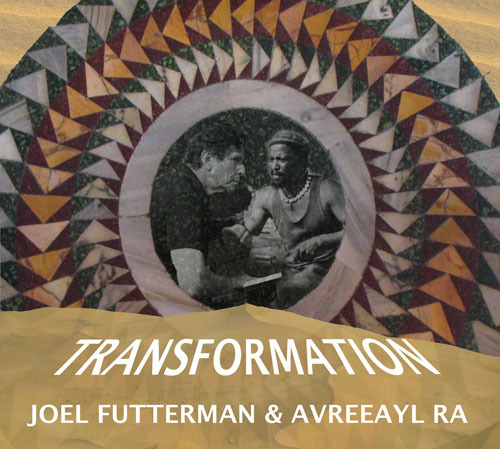 Futterman and Avreeayl Ra’s music invites open acceptance of change and recurrence, each supposedly polar opposite its own act of becoming, each a varied moment of transformation, a gift of tone and color to the equally accepting listener. and is now available on a CD released by Valid Records. There is great interplay and dynamics by these artist's “in the moment” collectively improvised music. “This is a tour-de-force, and works as a whole. It is nearly symphonic in the way it moves, sweeping like a sea of strings. 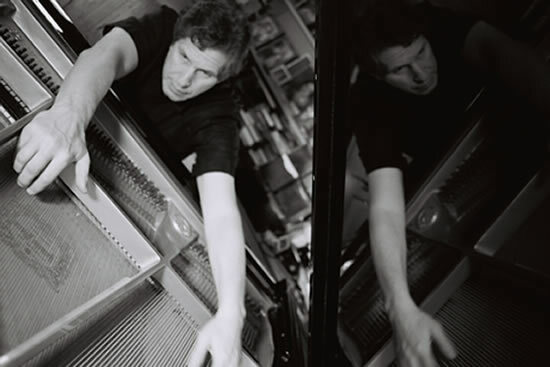 One of the best solo piano discs I’ve heard in a long while." 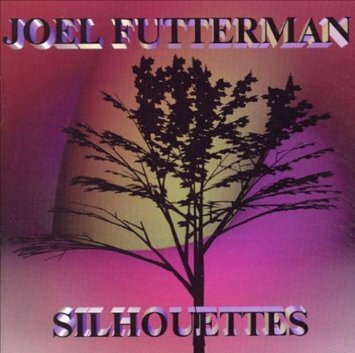 Pianist Joel Futterman's creative energies have burst forth in this unique and compelling volume. Joel's empathy for humanity is paramount. 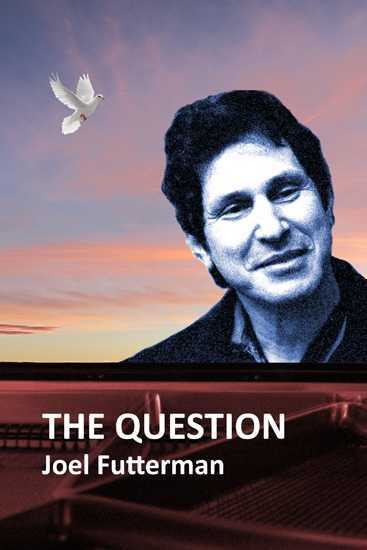 For a world with great economic disparities, and in social, political, and spiritual turmoil; Joel provides a series of dialogues of questions and parables that advance the search for inner and outer peace. The Question could be the answer. The Question is available for direct purchase (click) from this web site. Support the artist and purchase here using PayPal! For the first time, Joel Futterman's earlier book,The Design, is now available directly (click) from this web site using PayPal. 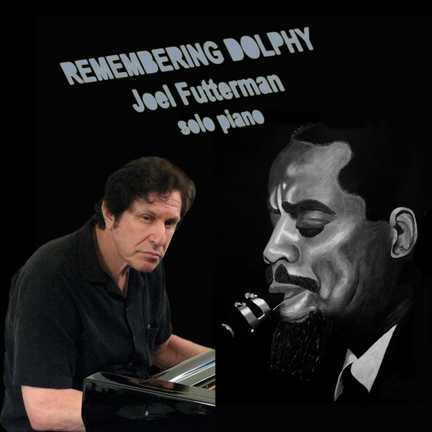 Remembering Dolphy, is Joel's special solo piano CD of Eric Dolphy compositions. Check out the musical samples and great commentaries. at Judson Hall in NYC. The Joel Futterman New Alchemy Trio appeared April 20, 2016 at the Center For New Music in San Francisco. The Trio featured reed player Ike Levin and drummer Donald Robinson exploring new directions in the art of “in the moment” collectively composed and improvised music. 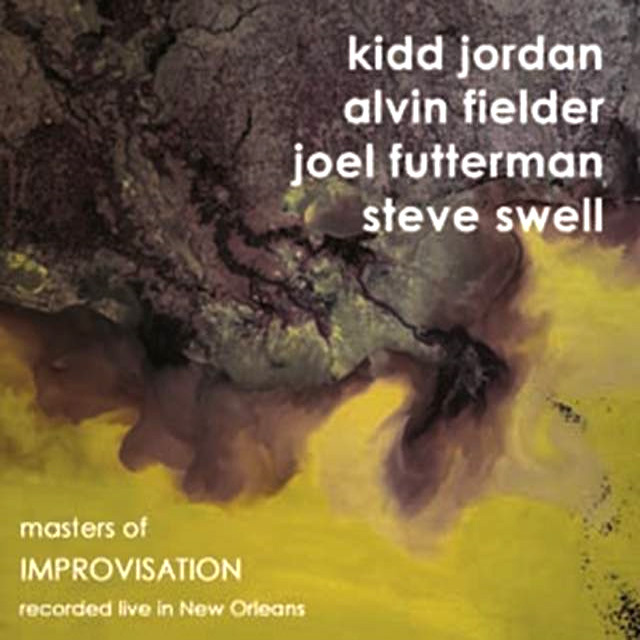 Joel in performance with Kidd Jordan, William Parker, Alvin Fielder, and Maynard Chatters played on April 24, 2015 at The New Orleans Jazz & Heritage Festival. Kidd's 80th birthday was celebrated. 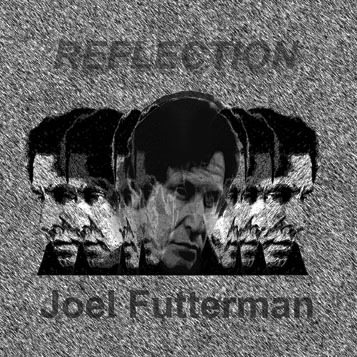 Reflection, a two-CD set of 2014 solo recordings demonstrating multiple musical perspectives of Joel. If his Creation series is a compendium of his pianistic techniques, Reflection distills and augments them, documenting the continued development of a master technician, a probing intellect and a spirit whose adventurousness and creativity know no boundaries and who accepts only the freedom that comes from music born of dedication and created in the moment. Joel's 1993 solo recording on the Progressive label is now available through Joel. Silhouettes consists mostly of original ballads and blues based on standard melodic motifs. 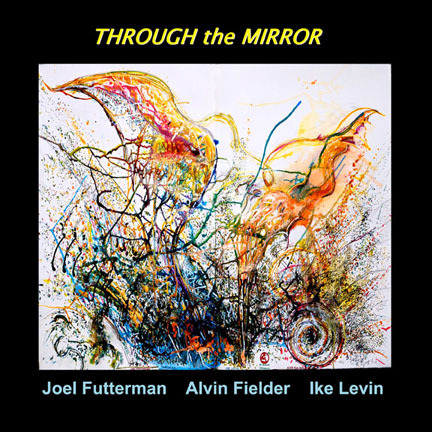 Futterman displays a lyricism worthy of Bill Evans while still pushing the envelope harmonically on a stunning interpretation of John Coltrane’s Naima. This guy must be heard to be believed. ...this recording presents us with yet another face of his music. He has always performed the standards and his own ballads as an emotional release...but never until this recording has he allowed this music to be released...I was not prepared for the emotional intensity that he brought forth using the most basic of jazz forms: the traditional ballad, the blues, and the waltz. were at The Jazz House Copenhagen, Denmark. performed in Stockholm, Sweden at the Club Fasching. 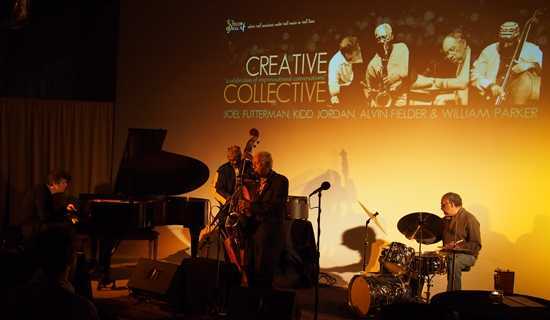 The Joel Futterman/Alvin Fielder/Ike Levin Creative Music Trio performed at Duende, in Oakland, California on October 3, 2013. They also made a studio record that will be released as a CD. The Creative Collective featuring Kidd Jordan, Joel Futterman, William Parker, and Alvin Fielder played at the New Orleans Jazz & Heritage Festival on May 2, 2013 at the WWOZ Jazz Tent. The Creative Collective played next at the Yellow Scarf, in Jackson Mississippi on May 3, 2013. 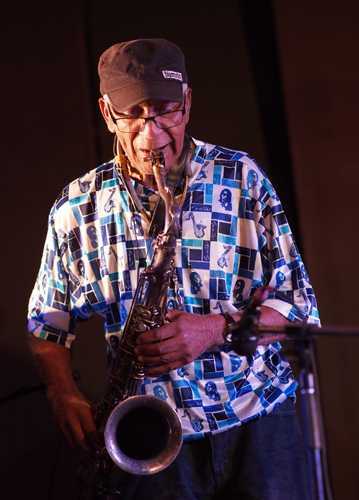 On November 16, 2012 Joel appeared with Kidd Jordan, William Parker, and Alvin Fielder (Creative Collective) at the IV International Jazz Festival "SibJazzFest" in Novosibirsk, Siberia. This is music of and for the ages. The great artists can evoke histories in moments, a few soulful gestures that anticipate things to come, or resolve what has gone before. The quartet performing this music engage history repeatedly, displaying encyclopedic knowledge in the service of intensive listening and interaction. Hearing it unfold is to witness the inexorability of history in motion. Do you believe in magic? 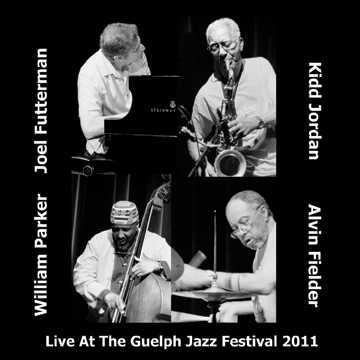 You will once you hear this recording of Kidd Jordan, Joel Futterman, William Parker, and Alvin Fielder in concert at the Guelph 2011 Jazz Festival. As an instinctive unit they are unparalled, uncannily reading the minds of each other to form seamless waves of otherworldly emotion, but the mystic atmosphere is present during the individual spotlights as well. Spontaneously created improvised music not only requires skilled musicianship, but also courage and unbounded reservoir of imagination. Yet what is often not acknowledged is that it also demands enormous physical stamina and endurance. 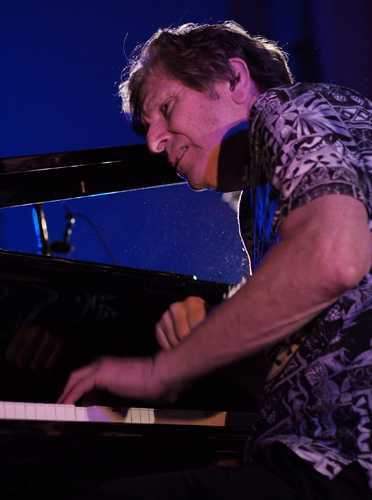 Highly concentrated listening combined with unrestrained emotional expression that bares the soul place enormous physical demands on an artist like Joel Futterman. This music, while created fully “in–the–moment,” is not by any means totally “free.” While the music is void of preconceived directions and does not conform readily to traditional music structures and conventional sensibilities of harmony, tonality, or rhythm, it is by no means random. Through intense focused listening, Joel Futterman remains highly attuned and responsive to each phrase, connection, resolution, mood, dynamic, and any transition that evolves. This produces a remarkable coherency to the music. Joel Futterman plays off the textures and sounds created by each phrase. From the depths of calm and tranquility to the heights of raw emotionalism expressed at blistering tempos, each musical phrase is declared with intention and true purpose. Musical ideas are expanded on or redirected at times to generate creative tension. Each phrase is then masterfully resolved with the same deliberateness. Conscious use of space and silence is used collectively to frame and thereby, crystallize musical ideas. 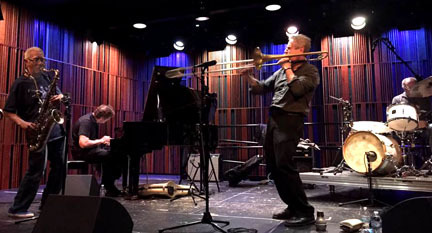 While this use of space and silence is more pronounced during the ballad-like excursions when the tempo is slowed and the richness of lyrical forms expanded, is also quite evident during the more up-tempo pieces where musical ideas are fired off with mind boggling speed superimposing and layering over each other as they meld and build to near explosive levels. Transitions within the musical journey itself are so smoothly and flawless that they are not recognizable until the change is completed and suddenly we are aware that the composition has taken a new direction. 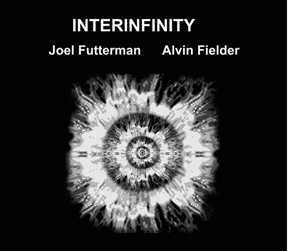 Such is the potency of this coherency that is incredulous to grasp that the music was not pre-conceptualized or “pre-scored.” It is that Joel Futterman’s artistic expression is based in the communion of instinct, emotion, and spirit. Throughout the diverse forays and excursions that comprise Joel Futterman’s artistry, there are subtle references to the musical heritage that has influenced Joel Futterman’s creative expression. 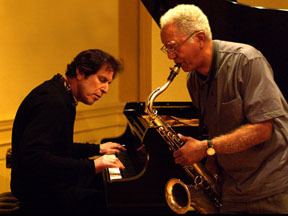 Whether it is the mournful bluesy cries, the elegantly complex and open chord sequences, the bop –inspired poly-rhythms, or the interactive improvisations that draw from the “shouts” and “field calls” that have formed the basis of modern jazz, tribute is paid to significant musical inventions of the past. However, Joel Futterman never succumbs to the comfort of cliches or the predictability of formulaic patterns. Instead, Joel Futterman searches and probes endlessly without hesitation for unchartered pathways into unexplored territory. The musical quest for Joel Futterman is much an adventure as it is for the listener. So close your eyes, empty your mind. Let your preconceptions and expectations dissolve and fade away. 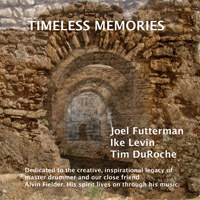 And let Joel Futterman’s music take you on a journey of varied images, impressions, and emotions. 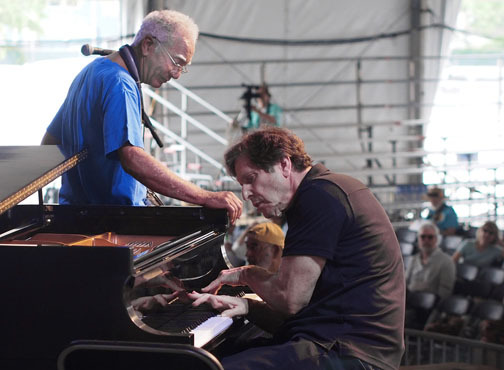 Joel Futterman’s music is music for your soul.